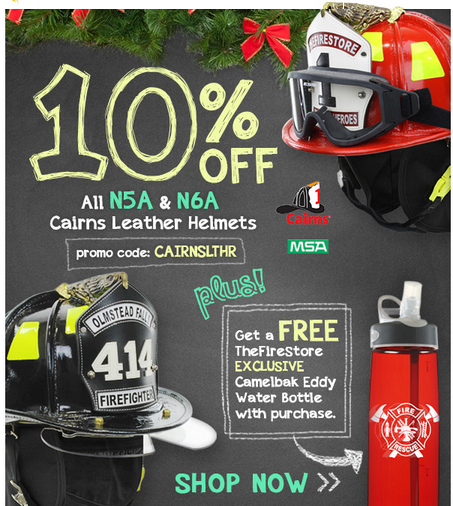 On Scene: Free CamelBak with Purchase of an N5A or N6A--plus 10% off. Yes, really! Free CamelBak with Purchase of an N5A or N6A--plus 10% off. Yes, really! Hurry in, friends--because right now you can get yourself a Sam Houston or New Yorker helmet for 10% off, plus get a FREE exclusive Camelbak Eddy Water Bottle with purchase. This is a heck of a lot of savings when it comes to a product like this you'll own and pass down for generations! When it comes to leather, Cairns is the name in the game. N6A's & N5A's are the original leather helmet. Handcrafted to meet today's performance requirements. Individually fitted, hand shaped, hand stitched, and hand trimmed! 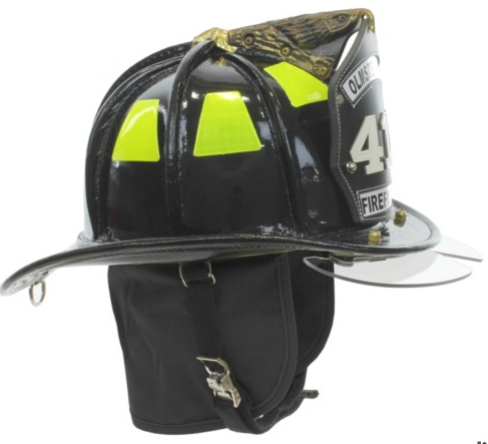 They retain the same authentic look and quality that generations of firefighters have relied on for years. Cairns has over 170 years of experience to draw upon, so the quality and craftsmanship of these helmets cannot be beat. They are THE helmet to own. Available in different colors, different configurations, with different eye protection options to meet the standard your department needs. Now is the time, at 10% off plus a free CamelBak, you just can't go wrong. Come on in and shop Cairns helmets today. Don't forget to use code CAIRNSLTHR at checkout for your discount and free water bottle!